The cost of household utilities can be expensive as the weather fluctuates frequently throughout the year in Mid-Missouri. Staying cool in the humid summer months is key to maintaining comfort. This is where the experts from Accurate Heating & Cooling come in, as your air conditioner is one of the most valued appliances in your home when temperatures rise. We can tell you how to keep your unit in the best condition possible while staying energy efficient. Continue reading for tips that will both increase the longevity of your air conditioner as well as keep the costs low. The first thing you should do as a homeowner is assess the functionality of your air conditioning unit. Invest some time in learning more about your particular model such as locating important features. 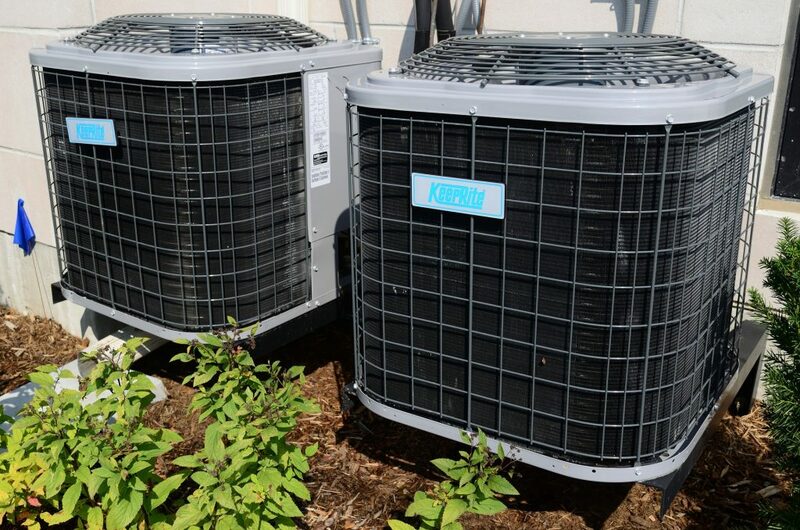 Some key components of your air conditioner are the filter, coil and condenser. Knowing the parts of your unit will give you a general idea of how to proceed with air conditioning maintenance should problems arise. If you notice your air conditioner is not functioning properly, our experts at Accurate Heating & Cooling recommend checking your unit’s condenser for debris. According to an Accurate Heating & Cooling professional, “Even though seasonal maintenance is done in the spring, depending on the environment around the outdoor unit, your unit can get caked and clogged (i.e. cottonwood) within days or weeks, so now that we’re mid- to late-season, people should be reminded to check their outdoor unit again to make sure it’s free of debris.” If you notice your air conditioner is not cooling at ideal temperatures in the summer, it is most likely time to clean out your condenser again. If you notice issues with your filter, do not worry. Cleaning your filter is easy and is something that can be done using household items. Once you remove the accumulated dust with a vacuum, gently wash it out using warm water. If a strong odor is evident, use baking soda or vinegar to eliminate the smell. Once your filter is clean, allow it to dry completely before reinstalling. Learning about and taking care of your unit will save you money in the long-run, as homeowners who regularly service their air conditioners will increase the lifespan of the units, incurring fewer replacement costs. In order to lower air conditioning bills during the scorching summer months, here are some suggestions that will cut costs and save energy. Purchase an air conditioner that you can control from your mobile device. A smart air conditioner makes those inevitable mistakes–like leaving your unit on during a vacation–reversible. You can adjust time and temperature settings remotely, making it easy to fit your exact schedule and lifestyle. For a more simple way to save money on air conditioning, try making small changes in your home. Though windows add beauty and natural light to a home, they also let in unwanted heat. Closing your curtains reduces the amount of sun entering your home, significantly lowering indoor temperatures. Take this a step further by adding a thermal liner to the back of your curtains to reflect heat back out the window. Finally, move all heat-producing appliances away from your thermostat. The heat created by items such as lamps and televisions can confuse your thermostat, causing it to run longer and work harder than intended. Following some of these simple tips will keep your electric bills down and conserve energy. Contact Accurate Heating & Cooling today for more information about your AC unit. As always, we are here to help!